What does your gift mean for infants and toddlers in Texas? CREATOR | $13/Month| Helps to provide training on coparenting to foster parents, enabling them to partner with the birth parent in providing a safe and emotionally supportive home. GROWER | $33/Month| Helps improve the quality of care one child receives from the adults in their life through a scholarship to First3Years professional development programming. REINFORCER | $53/Month | Supports mentoring sessions for early care professionals, home visitors, and parent educators. SUSTAINER | $83/month | Supports infant and toddler awareness campaigns, like Baby Day! 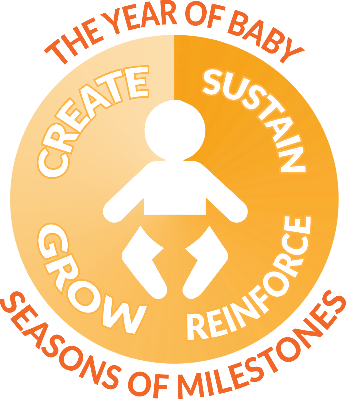 The statewide celebration to raise awareness of the significant impact the early years have on later life outcomes and celebrate this exciting period of growth and brain development. Click HERE to contribute to our monthly giving program today!